Even though Norway is already powered almost entirely by renewable sources, the country is continuing to build more power plants to further increase production of clean energy. Some of those new additions are a boon not only to the nation’s energy plan, but also in terms of curb appeal. 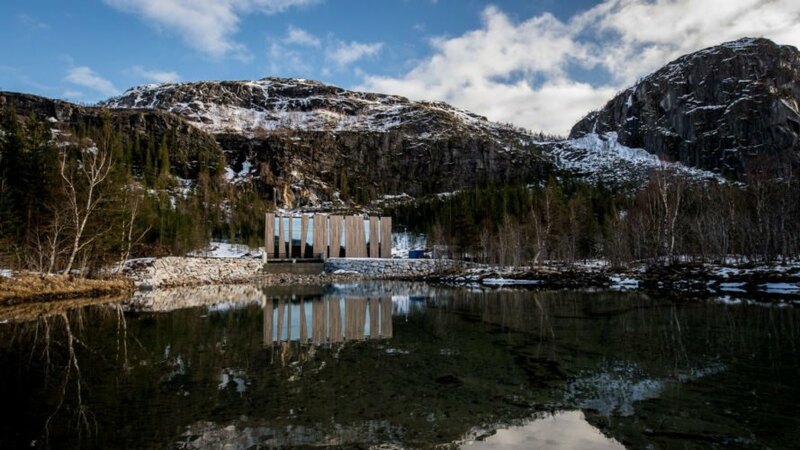 The Øvre Forsland power station is one example of how the country is pairing stunningly attractive architecture with clean, green energy plants to benefit generations of future residents and visitors. Most of Norway’s electricity comes from hydropower, geothermal power and wind, and now the government is aiming to use those very industries to draw in additional tourist traffic. The Øvre Forsland hydroelectric power plant in the forested mountains of Helgeland, a Norwegian province just south of the Arctic Circle, is one of those such destinations. The 30-gigwatt-hour plant, designed by Stein Hamre, complements the surrounding natural environment, rather than standing out as an eyesore. “The plant has been designed to reflect the characteristics of the landscape, which is located on the river bed in a clearing at the edge of a spruce forest,” said the architects in a statement. 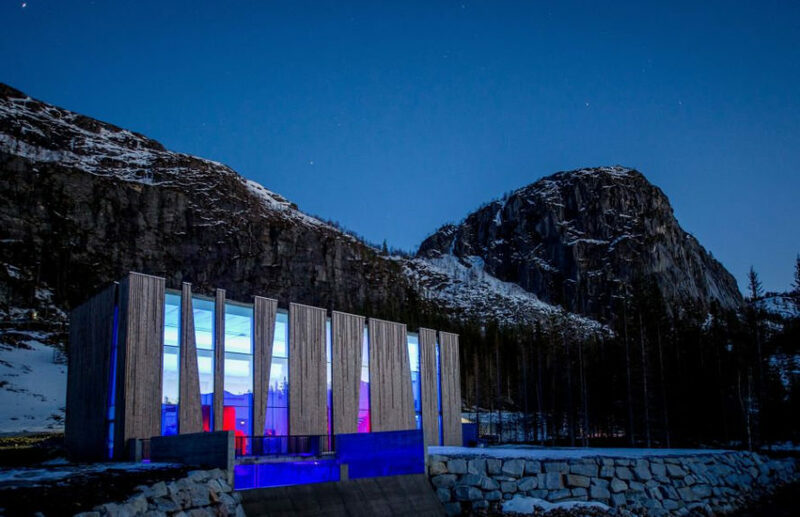 “The main inspiration for the design was the verticality and the irregularity of the spruce trees.” The government hopes that hikers will come to the gorgeous plant and want to learn about hydroelectricity. Who wouldn’t want to visit this idyllic mountain scene? Most of Norway’s electricity comes from hydropower, geothermal power and wind, and now the government is aiming to use those very industries to draw in additional tourist traffic. The Øvre Forsland hydroelectric power plant in the forested mountains of Helgeland, a Norwegian province just south of the Arctic Circle, is one of those such destinations. The 30-gigwatt-hour plant, designed by Stein Hamre, complements the surrounding natural environment, rather than standing out as an eyesore. “The plant has been designed to reflect the characteristics of the landscape, which is located on the river bed in a clearing at the edge of a spruce forest,” said the architects in a statement. Who wouldn't want to visit this idyllic mountain scene?